The average age of U.S. investors with $25 million or more has fallen by 11 years since 2014, to 47. Their numbers have more than doubled since the financial crisis, to about 172,000, aided by the boom in new technologies and venture-capital funding. Meanwhile, the share of wealth belonging to Americans over the age of 65 hasn’t kept pace with the growth in their numbers, suggesting “a vast generational transfer of wealth," according to Bloomberg. The wealth of “typical” Americans aged 35 to 54 has dropped by 41% since the Great Recession. by bloomberg.com --Lebanon wasn’t spared a debt rating downgrade that pushed it deeper into junk, hours after Qatar unveiled a plan to plow $500 million into its government bonds. Moody’s Investors Service lowered the country’s credit score one step to Caa1, seven levels below investment grade and on par with countries including Gabon, Zambia and Iraq. It changed the outlook to stable from negative. Even though Lebanon’s caretaker government has disavowed any debt restructuring, recent official comments suggest “a growing urgency” that coping with one of the world’s biggest debt burdens might prompt measures resulting “in a default event under Moody’s definition,” according to a statement on Tuesday. Eight months on from an election, Lebanon remains without a government and with billions of dollars in aid untapped as sectarian tensions simmer. The central bank has maintained stability through stimulus measures and financial engineering, made possible by the billions of dollars deposited into Lebanese banks by the nation’s diaspora. While Moody’s report highlights the need to form the government more quickly and embark on reforms, Finance Minister Ali Hasan Khalil said that “the financial and monetary situation remains stable, the needs of the Treasury are secure, and it’s able to meet all commitments, especially on debt.” Lebanon is hopeful Qatar’s decision is a “prelude” to a show of support by other countries and institutions, he said on Twitter. BEIRUT (Reuters) - Tuesday’s Oscar nomination for the Lebanese film “Capernaum”, praised for its depiction of poverty in the slums of Beirut, is a “huge victory” for the street children who acted in it, according to director Nadine Labaki. The nomination of a Lebanese picture for the Best Foreign Language Film award for the second year running is also a milestone for Arab and Lebanese cinema, Labaki told Reuters after the nominees were announced. “It’s a huge victory for each one of the actors who are ... putting their own struggle out there through the film, being the voice of the voiceless, each one with his own story and own struggle and own problems,” she said. Labaki cast street children in the town of Capernaum to tell the story of a 12-year-old boy trying to stop his younger sister being married off as soon as she reaches puberty. Much of the plot is based on events that Labaki witnessed or cast members experienced, and its biting social commentary helped secure the Jury Prize at the Cannes film festival in May. The protagonist is played by a young Syrian refugee, while another young cast member was thrown in jail during the shoot, and a third was deported to Kenya with her mother. Last year, Lebanon gained its first nomination for a foreign language Oscar with “The Insult” by Ziad Doueiri, a film that examines Lebanon’s sectarian tensions through a street argument that leads to a trial. 'Roma,' 'The Favourite' lead Oscar nominees with 10 apiece “This is definitely very important for Arab cinema, the Lebanese especially,” Labaki said. “It’s like we started our first steps in international cinema.” Lebanese film maker Oualid Mouaness agreed, saying: “It’s an incredible honor for the country, and I think it really creates a visibility to Lebanese cinema and creates support.” The other films nominated for Best Foreign Language Film are “Roma” from Mexico, “Cold War” from Poland, “Shoplifters” from Japan and “Never Look Away” from Germany. Reporting By Issam Abdallah and Imad Creidi; writing by Angus McDowall; Editing by Kevin Liffey Our Standards:The Thomson Reuters Trust Principles. By Rishi Iyengar, cnn.com -- WhatsApp is imposing stricter limits on how widely its users can share messages in a bid to crack down on the spread of false information. Following a six-month experiment in India, the messaging platform announced on Monday that it will restrict users globally to forwarding a message to only five chats at a time. The previous limit outside India was 20. WhatsApp, which is owned by Facebook (FB), first imposed the five-chat limit in India — its biggest global market — in July after viral hoax messages resulted in more than a dozen lynchings. Many of the victims were mistaken as child abductors because of false rumors spread via WhatsApp. "The forward limit significantly reduced forwarded messages around the world," the company said in a statement, adding that the limits would help keep WhatsApp a private messaging platform for close contacts. "We'll continue to listen to user feedback about their experience, and over time, look for new ways of addressing viral content," the company added. Even under the new restrictions, a user could still share a forwarded message with up to 1,280 people. WhatsApp limits the number of people in a single chat to 256. The lynchings placed WhatsApp at the center of India's fake news debate, with the Indian government demanding that the platform do more to stop the spread of misinformation. While WhatsApp has refused some of the government's requests, such as tracing individual messages, it has taken other steps like labeling messages that are forwarded rather than composed by the sender and taking out ads to raise awareness of the issue. Monday's move further highlights how India, with more than 500 million internet users and nearly 900 million people yet to come online, is increasingly influencing how the rest of the world uses the internet. Silicon Valley's biggest firms, including Facebook, Google (GOOGL), Amazon (AMZN), Uber and Tinder, frequently test new features in India before rolling them out to their users globally. DOHA, (Reuters) - Qatar will invest $500 million in Lebanese government U.S. dollar bonds to support Lebanon's struggling economy, the Qatari Ministry of Foreign Affairs said on Monday. 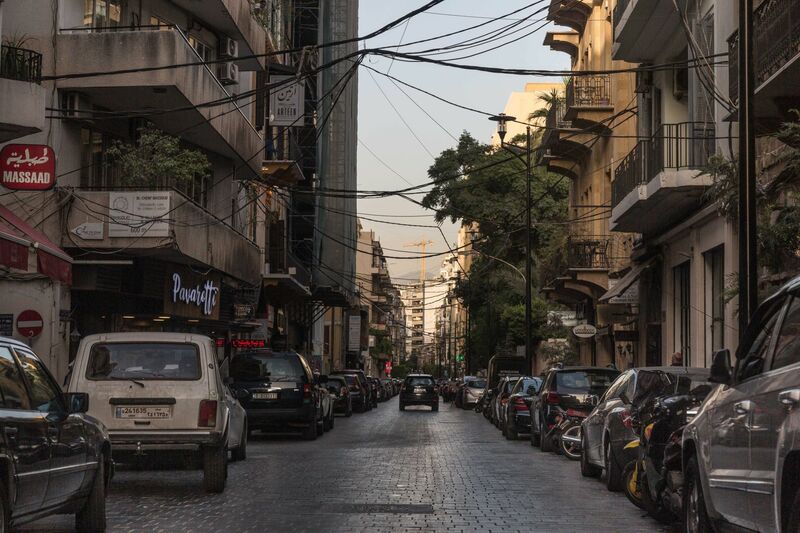 Lebanon has one of the world's highest levels of public debt compared to GDP and stagnant growth. Comments from its finance minister ten days ago about the public debt triggered concerns, leading to a sell-off in the country's dollar-denominated sovereign bonds, though they later partially recovered. Qatar is at the heart of a bitter row among Gulf Arab countries, which pits it against Saudi Arabia - historically a backer of Lebanese Prime Minister-designate Saad al-Hariri. Hariri, who has Saudi citizenship, was summoned to Riyadh a year ago, briefly detained and compelled to resign as prime minister until France intervened to free him. Saudi Arabia denied that, but its relationship with Hariri and Lebanon is seen as less strong than before. Saudi Arabia, the United Arab Emirates, Bahrain and Egypt cut diplomatic, trade and transport ties with Qatar in June 2017. They accuse Qatar of supporting terrorism and cultivating ties with Riyadh's regional foe Tehran. "We wish stability and prosperity for the Lebanese republic and the Lebanese people, and that the Lebanese economy will recover. The region needs a strong and prosperous Lebanon," Qatari Foreign Minister Mohammed bin Abdulrahman Al Thani said in a statement. Lebanon's dollar-denominated bonds rose across the curve on the news, with the 2025 issue up almost 1 cent and the paper due in 2037 adding 1.2 cents in early trade, according to Tradeweb data. Several notable political leaders will be missing from this year's World Economic Forum, which kicks off Tuesday in the Swiss town of Davos. President Trump is staying put due to the ongoing government shutdown, while U.K. Prime Minister Theresa May will be presenting a new Brexit plan to Parliament, and French President Emmanuel Macron will remain in Paris after another week of “yellow vest” protests. Brazil’s new president, Jair Bolsonaro, as well as German Chancellor Angela Merkel and Japanese Prime Minister Shinzo Abe, will be among those attending the annual conference. By Bill Gates gatesnotes.com --- When I announced that I was investing in Alzheimer’s research for the first time last fall, I thought I knew what to expect. I knew I would get to engage more deeply with the brilliant scientists and advocates working to stop Alzheimer’s—and I haven’t been disappointed. The things I’ve seen over the last seven months make me more hopeful than ever. What I didn’t see coming was the amazing response I got from the Alzheimer’s community at large. Because my family didn’t talk publicly about my dad’s diagnosis before the announcement, I had yet to experience how remarkable the support community is. So many of you have shared your personal experiences with me, both in person and online (including here on TGN). It helps to hear from others who are going through the same thing. Alzheimer’s research is a frontier where we can dramatically improve human life—both the lives of people who have the disease and their loved ones. I’m optimistic that we can substantially alter the course of Alzheimer’s if we make progress in several key areas. One of the biggest things we could do right now is develop a reliable, affordable, and accessible diagnostic. The process of getting diagnosed with Alzheimer’s today is less than ideal. It starts with a cognitive test. If you don’t perform well, your doctor needs to rule out all other possible causes for memory loss, like stroke or a nutritional deficiency. Then your doctor can order a spinal tap or PET scan to confirm you have Alzheimer’s. Although these tests are fairly accurate, the only way to diagnose the disease definitively is through an autopsy after death. There are two big problems with this process. First, it can be expensive and invasive. Most insurance plans in the United States won’t reimburse tests for Alzheimer’s. Patients often pay thousands of dollars out of their own pockets. Meanwhile, spinal taps can be scary and uncomfortable, and PET scans require the patient to stay perfectly still for up to 40 minutes. That’s difficult for anyone to do—but especially someone with Alzheimer’s. Second, patients aren’t being tested for the disease until they start showing cognitive decline. The more we understand about Alzheimer’s, the clearer it becomes that the disease begins much earlier than we previously thought. Research suggests Alzheimer’s starts damaging the brain more than a decade before symptoms start showing. That’s probably when we need to start treating people to have the best shot at an effective drug.